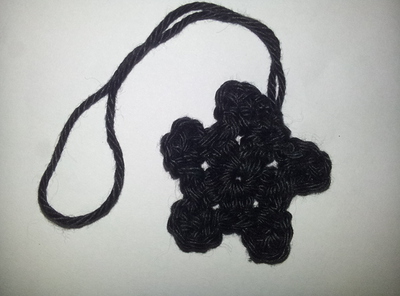 This entry was posted in Completed, Crochet, Keychains, Ornaments and tagged Double crochet, Flowers, Handmade, Magic loop, Single crochet. Bookmark the permalink. Alright then — when I make an ornament for you, I’ll make a medallion. This would make a pretty Christmas decoration too.